I have had the biggest crush on destroyed denim lately, and this obsession has finally migrated over to the dark side. Literally. I have been on a hunt for the perfect pair of black destroyed jeans. I ordered these from American Eagle, and I'm in love. American Eagle is one of two places where I can order my size in pants, and I know they will fit me, even without trying them on. Express is the same way. I love that because it's otherwise pretty hard to find bottoms that fit me right. I decided to kill two birds with one stone today and not only take these skinnies out for their maiden voyage, but also whip out this plaid jacket. I bought this at the tail end of last season. You can see when I wore it on the blog here. Now that it's cool enough to wear jackets again, I've been antsy to dust this one off. I decided to do some triple print mixing, following suit with Atlantic-Pacific's outfit here. I pulled the similar pieces out of my closet, but obviously just switched to black bottoms instead, and I was ridiculously happy with the result. I wore this on Saturday - if you followed along with my Instagram takeover, you got a sneak peek at this outfit here. The husband and I had a couple of errands to run and then we ate a super late lunch/early dinner at this restaurant called Annie Gunn's. My boss loves this place - so much so that we have being getting him and his wife a gift card to there every year for Christmas. Since it's been 8 years now, I figured it was time to try it myself, and let's just say, I can see why they love it. Everything was amazingly delicious. Good outfit, good food! 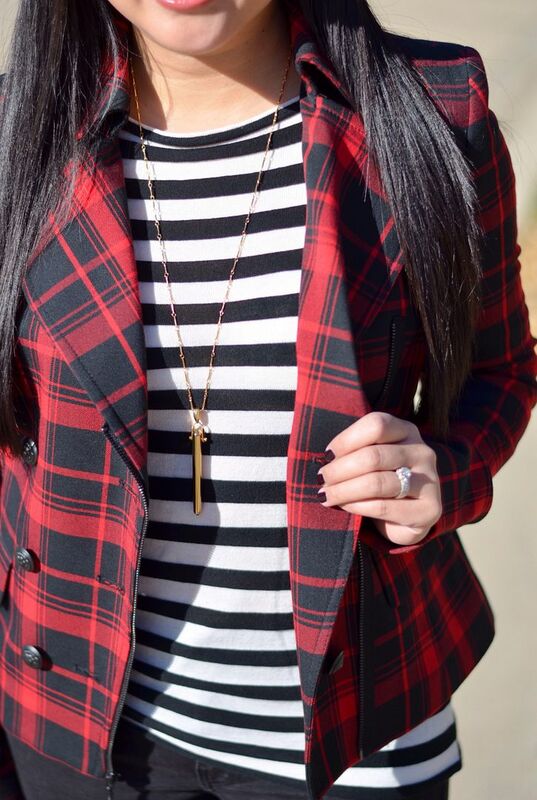 The plaid and stripes combination is so perfect! I've been on the hunt for destroyed black denim and these are superb, I also want your shoes so badly. These are the same shoes Cha Cha has (that I made her buy, hehe.) I love them! And I love these pants, too! Just what I had been hunting for! This is when I am super thankful I can wear anything I want to work! It would be a huge game changer if I truly had a business casual job! It makes me sad thinking of it!!! Loving the plaid, I need to get my plaid on as well. Time to get the ole winter clothes box down and put away the summer ones. (Sigh & tear) Looking great girl, as always! Thanks, girl! And I know!! We're supposed to get snow this weekend! i can't even comprehend that right now!!! Oh, hi. Running behind on this today! That plaid jacket is just too cute. This whole outfit turned out fabulous. 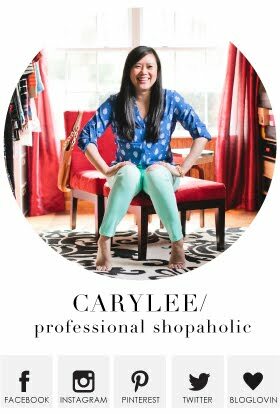 And I want some black distressed jeans in a major way- you're lucky to have two stores with dependable sizing! Express is my one and only and I think I need a backup. I am quite surprised Express doesn't have any! Like really surprised! Altho now that I have my pair, I'm sure they will come out with theirs! This jacket has a hint of shoulder pads so I was feeling self conscious in it. But you really can't tell in the photographs. I like it! I love all these pattern mixes! 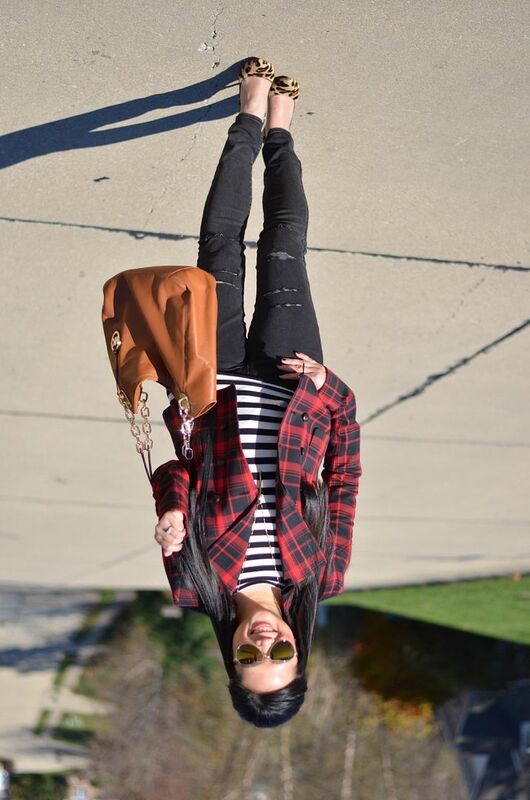 Stripes, plaid and cheetah all look so great together! 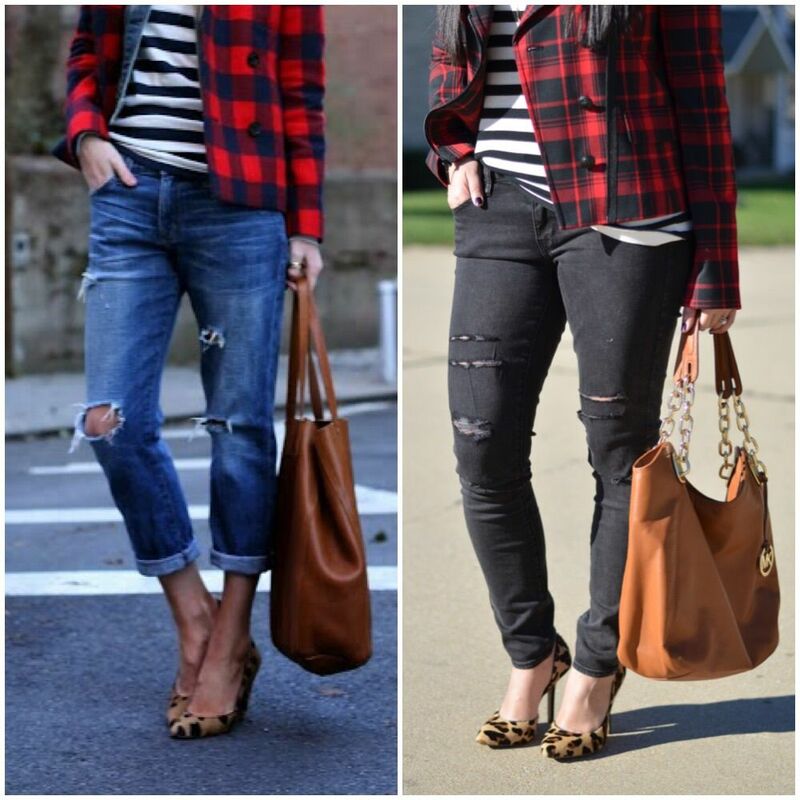 I've been looking for a great pair of black jeans and these ones are perfect! Yes, definitely worth checking them out! I think I may need the other washes! I too have been searching high and low for black destroyed denim. I decided to try a DIY on an old pair, but not too happy with the result. So much for trying to save money! Great look on you. Thanks! I hope you find your perfect pair! This is fabulous! When I try multiple pattern mixing, it just looks silly. And love the distressed jeans. Loft is the place where the sizing is always the same for me in their jeans. Aww - I bet you don't at all! Loft is hit or miss for me with their bottoms. I need to try them again, it's been awhile! I love everything about this outfit!! Something about this combo just so chic! These prints are perfect together, I must try it. I love this outfit, and I also love AE, their fit is always perfect and is good to know Express is the same way, I have never bought any of their jeans/pants but I need to look into it since I need some pants. 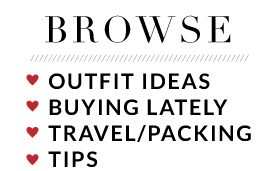 Yes, definitely try them out! Good luck - let me know how it goes! Love this look! 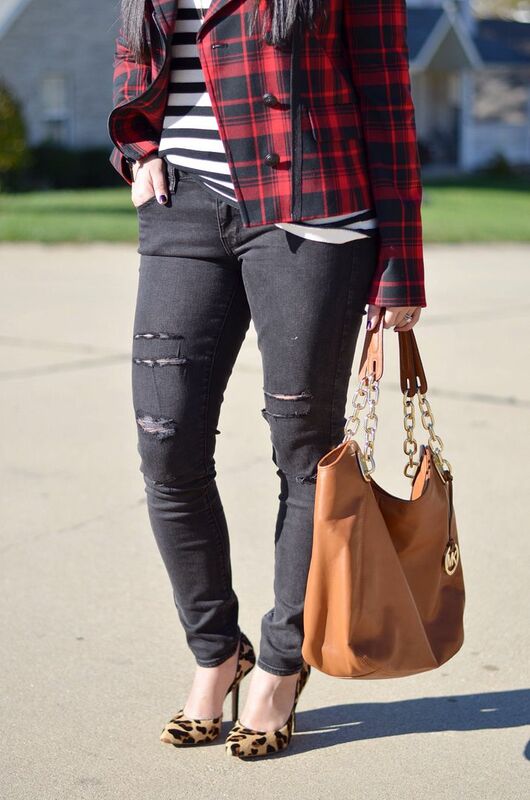 The plaid, stripes and leopard are the perfect mix! I thought so too! Glad you agree!! Thank you! !